The next meeting of the Marshall City Council is scheduled for Monday, March 18. 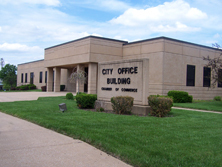 The Marshall City Council will gather in council chambers of the Marshall City Office Building at 6:00 p.m. Monday. The session begins at 7 p.m. Monday at the Dyer Park Community Building.